Integer means numeric data types, which is also defined as a whole number with no fractional and decimal components. Integer may be lesser than or greater than or sometimes equals to zero. Integers can be specified in decimal (10-based), hexadecimal (16-based) or octal (8-based) notation, optionally preceded by a sign (- or +). Here $x is an integer. $x is an integer. 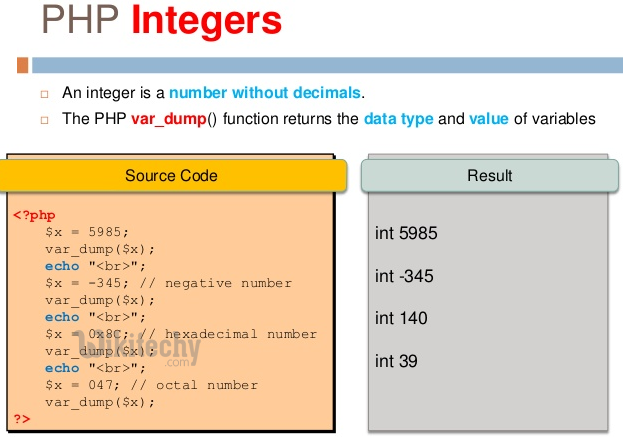 The PHP var_dump() function returns the data type as integer with its integer value. 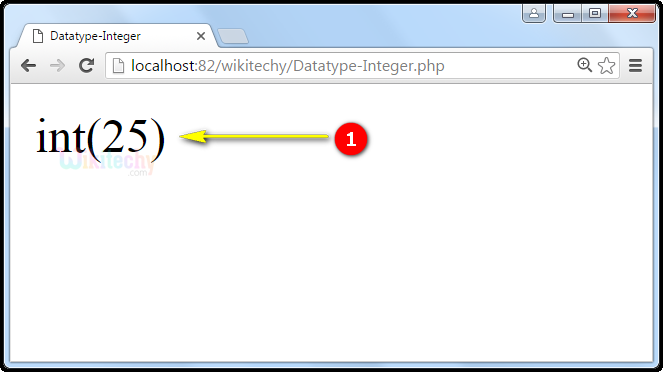 In PHP, $x = 25 is an integer variable that is holding the integer value =25. 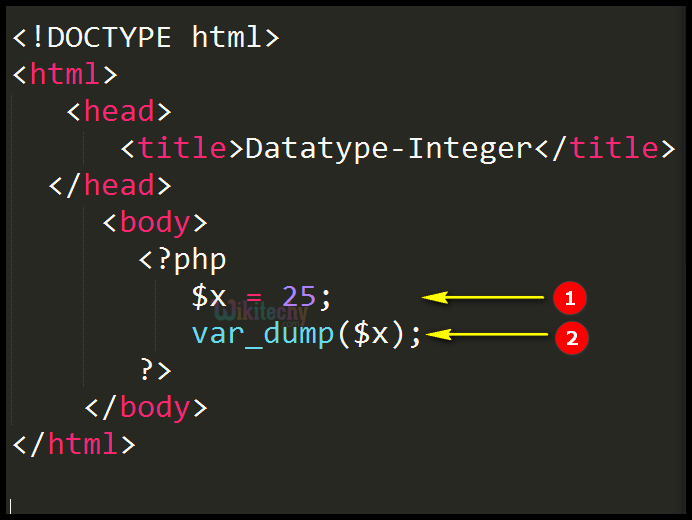 The var_dump() function returns the integer data type with its integer value as 25. In this output, var_dump() function returns the integer data type with its integer value as 25 i.e., int(25).